This winter's cold temperatures and heavy snow created the perfect condition for winter fish kills on some southern Minnesota lakes. It's not uncommon for fish to die off during the winter and wash up on shore in the spring. But this spring could see more reports of winterkill than usual, according to the Minnesota Department of Natural Resources. Winterkill is caused by the depletion of dissolved oxygen in a lake. During the winter, sunlight can't get through the ice and snow on the lake, so plants and algae can't produce as much oxygen through photosynthesis. In shallow and nutrient-heavy lakes where algae blooms are common, the algae quickly use up the oxygen and die. Bacteria that feed on the decaying algae and vegetation use up more oxygen. "We think that's what happened," said Craig Soupir, area DNR fisheries supervisor in Waterville, Minn. "We had pretty extensive algae blooms early on when we had clear ice. Then we got dumped on with snow in a really short period of time." Without light, the algae stopped making oxygen and started using it, Soupir said, and that caused the lakes' oxygen levels to drop quickly. He said about 12 small lakes in south-central Minnesota have had reports of winterkill, including Greenleaf and Scotch lakes in Le Sueur County and Loon Lake in Blue Earth County. DNR staff have tested three of the lakes so far and plan to test more lakes next week, Soupir said. Winterkill is a natural process that can benefit lakes and help game fish rebound. Lakes where the DNR stocks game fish will be restocked and should provide good fishing within a few years, Soupir said. 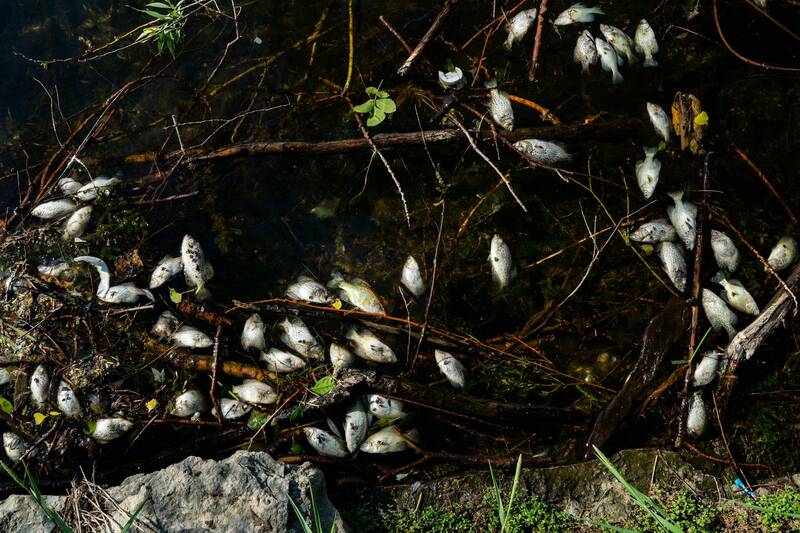 Anyone who observes dead or dying fish is encouraged to contact the local DNR fisheries office.